Classic New Zealand Poets in Performance. Edited by Jack Ross. Poems selected by Jack Ross and Jan Kemp. ISBN 1-86940-367-3. Auckland: Auckland University Press, 2006. xiv + 146 pp. POEMS READ ALOUD bring a new resonance to bare words and familiar texts; poems performed by their authors expand meaning further, enhancing the rightness of cadences and the exactness of language. In Classic New Zealand Poets in Performance some of New Zealand's favourite poems, by 27 of our most celebrated poets, come vividly to life. It is exciting to hear R. A. K. Mason reading lines from 'Be Swift O Sun'; fascinating to hear James K. Baxter declaiming 'Poem in the Matukituki Valley'; and moving to hear Janet Frame reading new poems just months before her death. 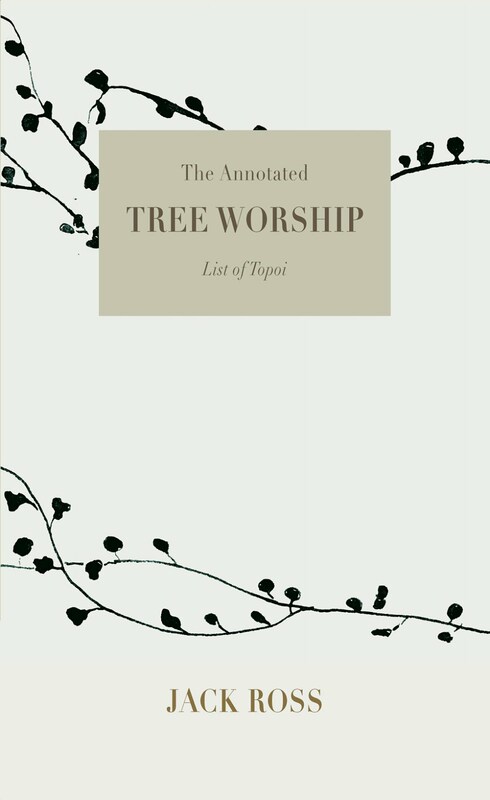 Editors Jack Ross and Jan Kemp have selected and presented on two CDs material from the Waiata Recordings Archive, collected in 1974, and the Aotearoa New Zealand Poetry Sound Archive, completed in 2004. There are two hours of poets reading their own work and the accompanying book prints the texts of the poems as they have been read. Selected bibliographies and short biographies for each poet are also included, as well as an appendix of variant readings. The readings in Classic New Zealand Poets in Performance are some of the highlights of New Zealand's poetic history, and these performances will refresh the interest of those to whom the poems are familiar and inspire those who are encountering these classic poems for the first time. JACK ROSS is a writer and editor, based on Auckland's North Shore. He has published two books of poems: City of Strange Brunettes (1998) and Chantal's Book (2002), as well as three works of fiction: Nights with Giordano Bruno (2000), Monkey Miss Her Now (2004) and Trouble in Mind (2005). He has also edited numerous magazines and anthologies, including (with Graeme Lay) Golden Weather: North Shore Writers Past & Present (2004), and (with Jan Kemp) the Aotearoa New Zealand Poetry Sound Archive (2002-04). 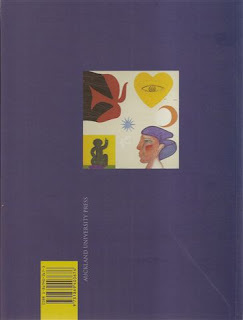 JAN KEMP'S sixth book of poems, Dante's Heaven (2006), follows The Sky's Enormous Jug and Only One Angel (both 2001). Co-collector/editor of the Waiata Archive and three­ record set NZ Poets Read Their Work (1974), she is founding director of the Aotearoa New Zealand Poetry Sound Archive. She returned home in 1999 after 25 years overseas and lives with her husband Dieter Riemenschneider in Torbay, Auckland. She was awarded an MNZM in 2005. Christopher Moore. "Book News." The Press (24 June, 2006) Edition 2, p.13. There are two ways of looking at Auckland University Press’s Classic New Zealand Poets in Performance (softcover $45). The first is to read this new anthology of works by 27 New Zealand poets. The second is to listen to recordings of them reading their works. The book and the CD, due for release on Montana New Zealand Poetry Day 2006 (July 21), “brings a new resonance to bare words and familiar texts,” according to its editors, Jack Ross and Jan Kemp. Mary de Ruyter. "Music & Books." citymix (1 July, 2006), p.58. Iain Sharp. "Books: From New York no-no’s to a chorus of Kiwi classics." Sunday StarTimes (2 July, 2006), p. C7. Jennifer Little. 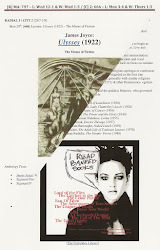 Flurry of publishing for writing lecturer.Massey News 9 (6 Pipiri / June) 8. 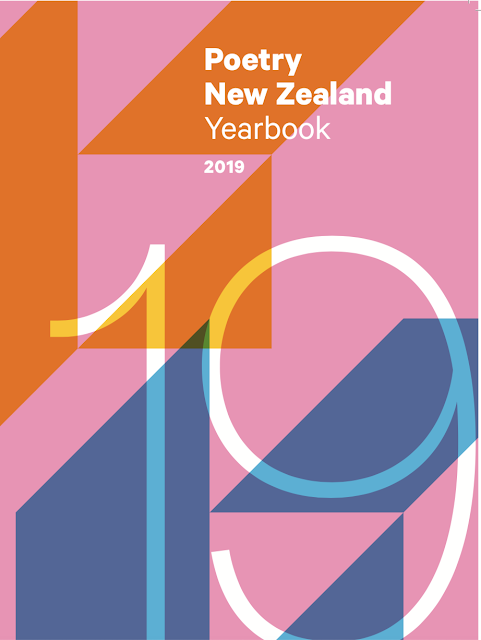 The book features a cover image by artist Pat Hanly and comes with two CDs of recordings of 27 of New Zealand’s most celebrated poets — including James K Baxter, Denis Glover, Hone Tuwhare, Janet Frame, Fleur Adcock, Kevin Ireland and Vincent O’Sullivan — reading their own work. Dr Ross has been collecting and compiling the poetry texts and recordings with co-editor and poet Jan Kemp since 2004. The material comes from the Waiata Recordings Archive, collected in 1974, and the Aotearoa New Zealand Poetry Sound Archive, completed in 2004. The book with sound recordings is the first of its kind for New Zealand poetry. Scott Hamilton. "Better than Deaker." Poetry NZ 33 (2006): 101-103. Trevor Reeves. Southern Ocean Review 40 (12 July, 2006). It is easy to see that this book will become a well respected text for teaching, in years to come. However, just as a book to have, and enjoy for all the good work in it, it is fine, and worthwhile. You need to add this book to your collection. Peter Wells. "In Praise of the Poetic Voice." Weekend Herald: Canvas (15 July, 2006) 31. The book, and the CDs, are taonga. 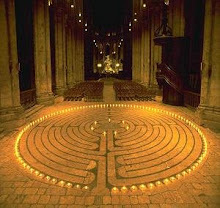 The result of a mission by poets Jan Kemp and Jack Ross, they reproduce the poetic voices of our past ... But what is the bigger story of this collection? It is a treasure of voice and poem. I am hoping it is the beginning of a longer series. Every school should have one. There is much to ponder on, to celebrate here. 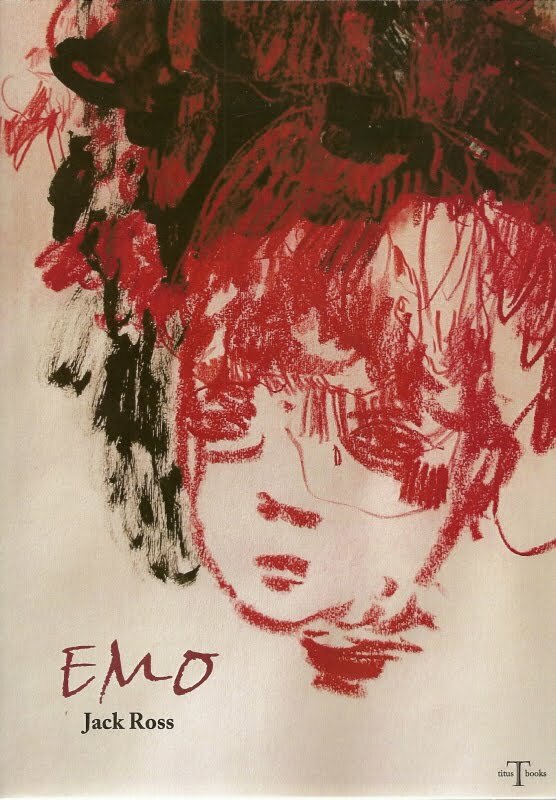 And people searching for poems for significant occasions could do well to buy this book. It is of our people. Chris Price. "A sound selection." The Dominion Post: Indulgence (15 July, 2006) 16. ... this two-CD set plus book — reproducing the poems as read, not always as they were published, along with serviceable biographies and bibliographic detail — is well worth the price of admission. Listen in the car, while you’re making dinner, or do the iPod shuffle. The fact that 15 of the 27 writers represented are still cruising our poetic high ways is also a timely reminder, in the run up to Montana Poetry Day, to get out and see a classic live while you still can. Charmian Smith. "Poets make fascinating listening." Otago Daily Times: Weekend Mag (15-16 July, 2006) 5. Terry Locke. English in Aotearoa. Congratulations to Jack Ross who has a new book/CD out. This is a 2-CD set of 27 classic New Zealand poets, from Fairburn to Brian Turner, reading their own work. The CDs are accompanied by a book of the texts of the poems reproducing them exactly as read, as well as brief biographies and bibliographies of each poet. Sam Finnemore. Craccum (17 August, 2006). If I was forced to pick a downside in this release, I’d single out the dodgy pack aging of the CDs themselves — tucked into fragile paper envelopes inside the book’s covers, they’re vulnerable to damage, and somewhat spoil the over all presentation. My advice is to pop them into spare plastic jewel cases from a friend’s CD collection and save your self hassle and heartbreak. Otherwise, Classic New Zealand Poets in Performance is an essential purchase for any follower of New Zealand literature. Linda Herrick. "Fineprint: Poets Sell Out." Weekend Herald: Canvas (August 26, 2006) 33. If you are looking for a copy of Classic New Zealand Poets in Performance, Auckland University Press’ enchanting collection of poetry matched with a double CD of the actual poets reading their works, it has sold out. AUP confirms that a second “rush imprint” is underway in Singapore, and copies should be available in bookshops in about two weeks. I am pleased by the success of the recent double CD Classic New Zealand Poets in Performance, put out by AUP and compiled by Jan Kemp and Jack Ross. The first run has sold out and another is under way. But you know about that one, right? Alastair Campbell. Wairarapa Times Age (September, 2006). ... although the recordings prove yet again that writers don’t always make good readers and there could be some argument with the selection, there are really wonderful moments that will rekindle memories among older listeners and introduce to younger ones the authentic voice of many canonical poets. Jennifer Little. Massey Research 3 (13 October, 2006). Jack Ross has spent much of the past two years hearing voices. Haunting, poetic voices. The voices of Janet Frame, of James K Baxter, of A. R. D. Fairburn, of Denis Glover, of Hone Tuwhare, of Fleur Adcock. 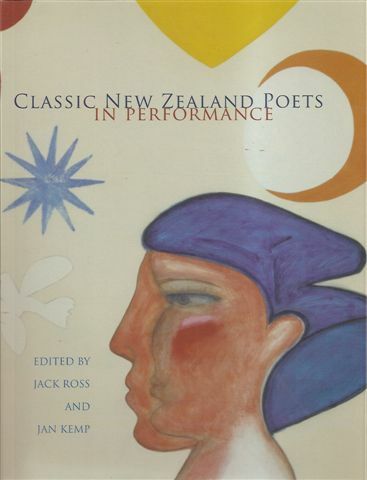 Classic New Zealand Poets in Performance, co-edited by Mr Ross and poet Jan Kemp, includes two CDs of recordings, totaling two hours of poetry readings by 27 of the country’s major poets. Peter Dornauf. Waikato Times (23 September, 2006). What is noticeable is that the women represented in this collection do a better job than the men. Fairburn has a weary, flat, monotonous tone while Mason’s voice is too high and fails to carry the gravity of his message. Brasch’s 1950s polished English voice has perfect intonation but sounds terribly dated. Even Tuwhare, like Baxter, comes across as wooden and awkward. In contrast, poets like Lauris Edmond and Fleur Adcock communicate in an unpretentious relaxed manner without strain, employing an easy natural rhythm that captures perfectly the correct intonation, emphasis, speed and resonance. The best of the men are Peter Bland, Michael Harlow and Vincent O’Sullivan. The latter’s Elegy for a School mate is conveyed with just the right mix of understated passion and pathos. "Counter intelligence." Booksellers News (December 2006) 19. While poetry doesn’t necessarily do well at the shop, this collection is a stand out, in part because of the two CDs that accompany it. The collection has wide appeal in part because it features major poets, and also because it offers readers a unique opportunity to hear our best poets reading their own work. A perfect pressie for the poetry enthusiast. Harry Ricketts. "Sounds like us." New Zealand Books (Summer 2007) 12. So far as I am concerned, Jack Ross and Jan Kemp have done local poetry lovers a good turn with these two collections of our own poets reading their work. Classic New Zealand Poets in Performance runs from A. R. D. Fairburn to Brian Turner, Contemporary New Zealand Poets in Performance from Peter Olds to Roma Potiki. Each collection is handsomely designed and, to accompany, two CDs of the poets’ voices, contains the text of the poems plus brief biographical and bibliographical details. (A third collection, presumably of younger voices, is promised). Jacob Edmond. "Not so Hopped-Up." JNZL(2007) 164-73. While, as Davidson suggests, the movement of poetry off the page potentially implicates it in ‘realms of community, contingency, and conversation’, Classic New Zealand Poets in Performance presents poets whose performance styles or the contexts in which they are recorded often seem isolated from such conversations, more at home in Hollander’s vision of the lyric as a carefully crafted well-wrought urn’ than in Ginsberg’s improvisatory style. While a more ‘hopped-up’ set of recordings might have opened eyes and ears, radiant and cool or otherwise, to New Zealand poetry as a socially engaged, community practice, Classic New Zealand Poets nevertheless provides an invaluable contribution to such an opening simply by reminding us that in poetry voice and ear are at least as important as text and eye.